I've written an article in the new online journal, Strategic Library. I've got another one coming out in March, too! 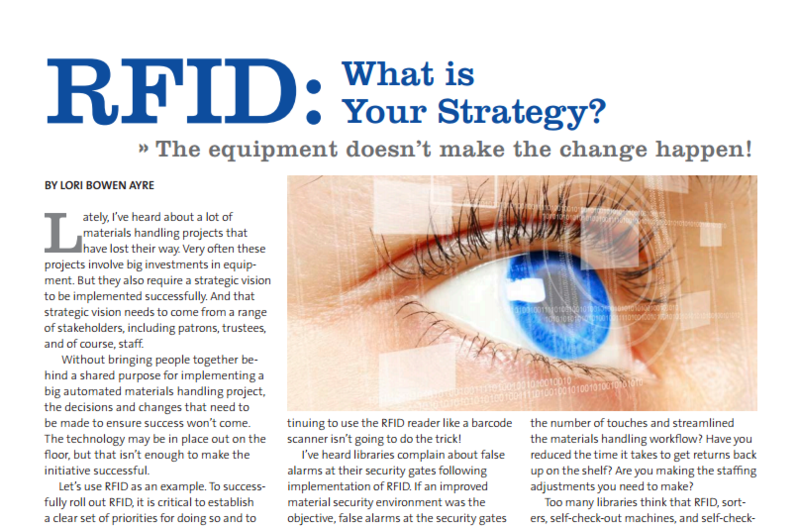 The above excerpt is from the February issue, entitled "RFID: What is Your Strategy?" and you can access it here. Published in the February 2014 edition of Strategic Library; Copyright by The Library Resources Group. Used with Permission.